Rent Hilton Scottsdale Resort & Villas | Corporate Events | Wedding Locations, Event Spaces and Party Venues. Unwind in impeccable AAA Four Diamond accommodations at this beautiful Phoenix area resort set at the foot of the Camelback Mountain. 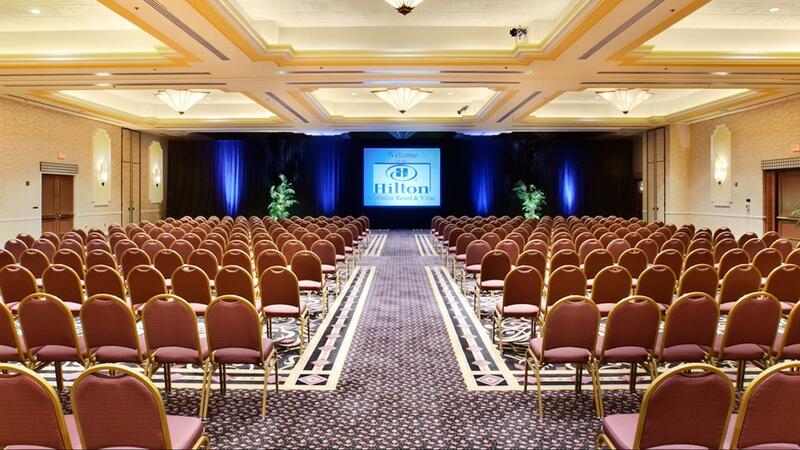 Whether it's an intimate gathering or large celebration, host your next event in 25,000 sq. ft. of flexible, elegant function space at this Phoenix area resort. Our Event team is here to help organize every detail, including working directly with the Executive Chef to create a customized menu using the freshest local ingredients. Whether you are hosting an elegant company reception, an outdoor celebration or an intimate boardroom meeting, Hilton Scottsdale Resort & Villas has the space and expertise to meet your needs. Our resort features a dynamic range of meeting spaces, from a large conference in one of our two ballrooms to a wedding reception in our climate-controlled outdoor pavilion (seasonal). An idyllic Phoenix wedding venue, the poolside Oasis Bar is the perfect spot to gather and socialize before and after the ceremony. With convenience in mind, all our meeting rooms are set close to each other and the connecting outdoor corridor serves as a fabulous pre-function space (weather permitting).